Sing Unto the Lord - This album will be released in the spring of 2010. 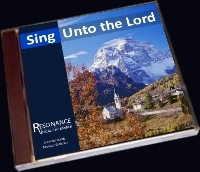 It is a collection of sacred music designed to strengthen your faith and lift your soul. From the pleading strains of Mozart's classical Lacrymosa to the assuring simplicity of the Sunday school song Jesus Loves Me, all will find something to strengthen their belief in these troubled times. 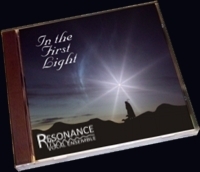 In the First Light - Released in the fall of 2007, this Christmas album contains many old favorites, a few tracks you might never have heard, and several original arrangements.